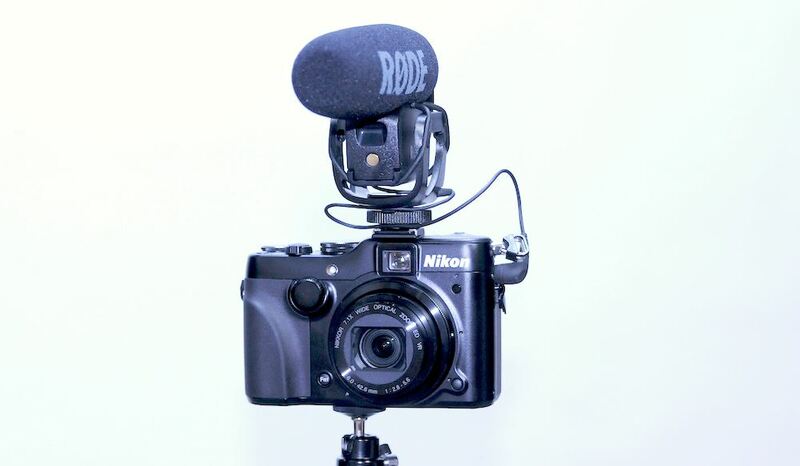 An older camera model can help stretch the budget: the Nikon P7100 and Rode Video Mic Pro is a low-cost way to record interviews. Picture: Audio Video Pro. Each month, Audio Video Pro answers readers’ questions about the right equipment for their assignment or their production. I’m looking for some advice on a pocket video camera suitable for short form video interviews to be posted online. Previously I’ve used a Flipcam but I’m looking for a better quality picture and also the option to plug in an external mic for better sound quality. I probably only need to record a maximum of 60 minutes at a time which I’ll then edit on iMovie. It can be very simple functionality – I will use it to conduct short videos, often in noisy environments! It would need to be compact, small and portable. Ideally my budget is £250, and I do like the idea of something portable. This is an interesting, and increasingly common request: as a writer, you’re being asked to provide, or opting to provide, video footage for clients. But you want something small, light, reliable and discreet; the aim is not to become a broadcast camera operator, after all. Realistically, though, it’s hard to do all this, within your budget. Most of all, it’s hard to find many cameras or camcorders in that price range with a mic input. Sadly, often manufacturers view sound as an afterthought, even when they build video into their cameras. One option that is within budget is the Kodak ZI12, which you’ve managed to track down online (it is no longer made). The picture quality isn’t great, but for £100 or so, it’s worth looking at. And it does have that all important mic input. Going up a notch, there are a handful of options. Firstly, take a look at the GoPro. An action camera might not seem an obvious choice for interviews but for something small it is hard to beat – and the range of accessories and mounts make it easier to use, on your own, than a regular camcorder. The Jaws: Flex Clamp, for example, works well inside cars and other awkward places. It will work with an external mic, but you need to buy an adapter. Smaller, lighter: The GoPro Hero3+. Picture: GoPro. 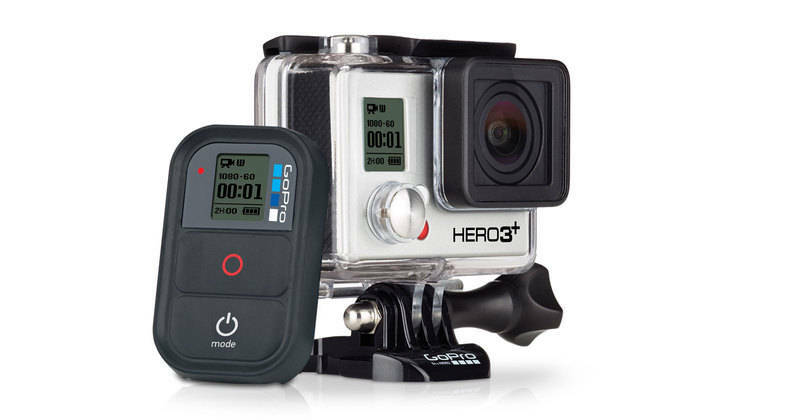 Go for the new HERO3+ Silver edition – you probably don’t need the Black edition features – as the newer models have better audio, and download GoPro’s free video editing software to correct the “fisheye” lens effect. 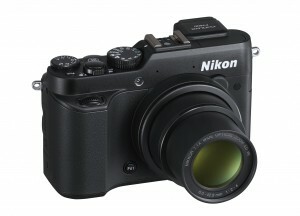 The next best option, in price and size, is one of the Nikon Coolpix “P” series compact cameras. 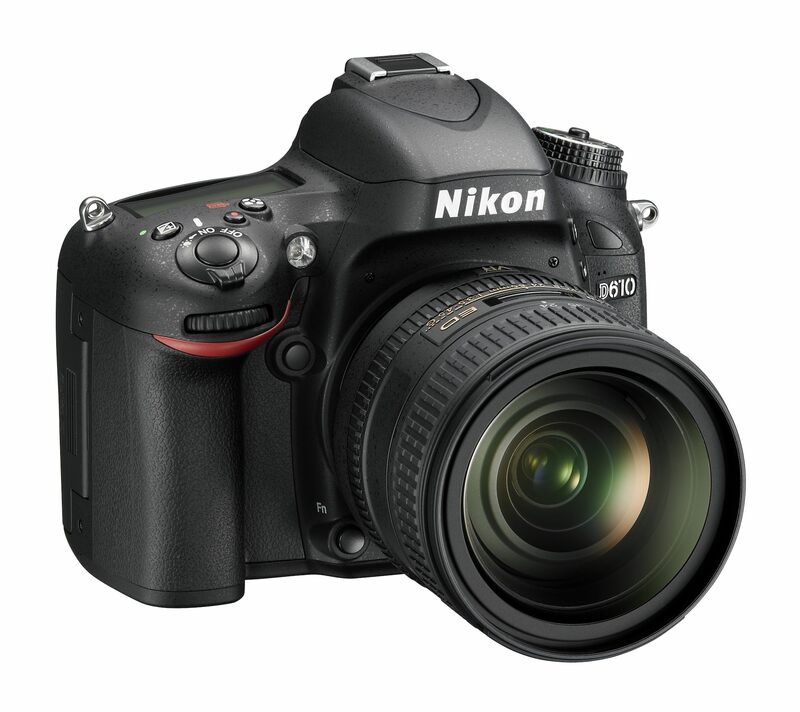 You should still be able to pick up a P7100 model for around £250. This is an older, but still current, compact camera which has an optical viewfinder, and records video at 720p – fine for YouTube. It has a mic input, and also takes good stills. Audio is recorded as a WAV file, which is the best quality for editing. The more recent P7700 loses the optical viewfinder and has a US-oriented framerate of 30fps: not an issue, if it is all you film on, but a pain if you need to work with other cameras, which usually use 25fps in Europe. 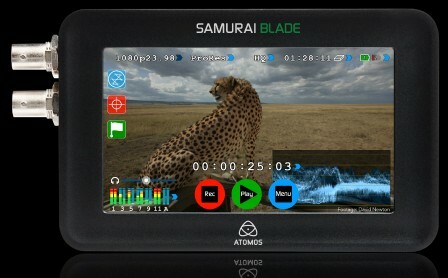 The problem is fixed by opting for the brand-new P7800, which has 25fps for Europe (30fps for the US version) and a camcorder-style electronic viewfinder or EVF, as well as the LCD screen. The EVF is great for shooting video, whilst staying out of the story yourself. Nikon’s pro compact, Coolpix P7800. Picture: Nikon. Aside from Nikon, Sony currently has the best other option: the NEX-7. This is an interchangeable lens, “compact system” camera. It uses a DSLR-sized sensor, so the results will be good, and it has a mic input. 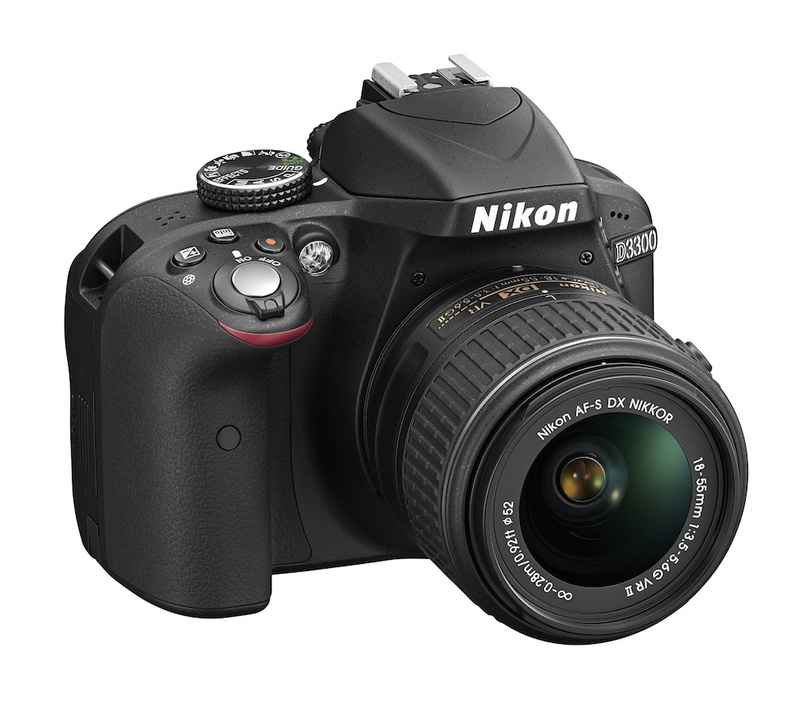 Sadly, it comes in at £850, which is close to an entry-level pro camcorder, and more expensive than most DSLRs. Panasonic has dropped mic inputs from its more compact Lumix range and Canon’s equivalents, whilst good cameras, also have no mic inputs. I’d discount DSLRs for the moment, because of their size and because they’re not that easy to use for video, especially if you are working alone. You could also pick up a quality compact camera with 1080p video, and an external sound recorder, but that means more kit, and more work when it comes to editing. But there are a couple of other options to consider. The first is the iPhone. The new iPhone 5S is expensive, but the older 4S is reasonably priced, at £349 unlocked. The 8GB memory may be a limitation, but there are plenty of good video-making accessories for the 4S, and good software, such as Filmic Pro. Or, look at an iPod Touch. 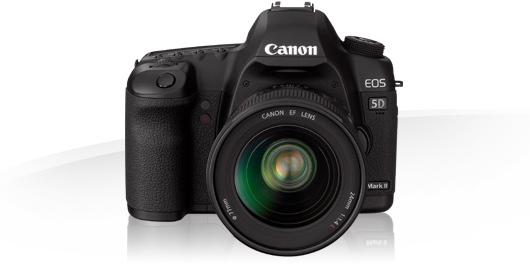 The 32GB model comes in on budget, has full HD video with image stabilisation and a fast lens for low light. Add a third-party video app for the best results. Avoid the 16GB model, which has a less capable camera. It’s a question of trading off the larger memory and lower price of the Touch, against the 3G connection of the 4S. A standard interview mic will work with most lower-cost cameras with a mic input, but often the mic pre-amps in compact cameras or devices like the Kodak are not very powerful. A mic such as the Rode NTG2, which has an internal battery, will work, but the sound levels will still be quite low. The Rode Video Mic Pro has a more powerful amplifier built in, and would work well with the Nikon cameras or the Sony NEX-7. But it needs to clip on to the camera’s flash shoe, so is not really an option for the Kodak or GoPro. A consumer mic, such as the Sony ECM907, could do the job. It has been around for an age – it was developed for Minidisc recorders – but it is small, light and well made. It costs around £100. And there are, of course, several audio options for the iPhone and iPod. 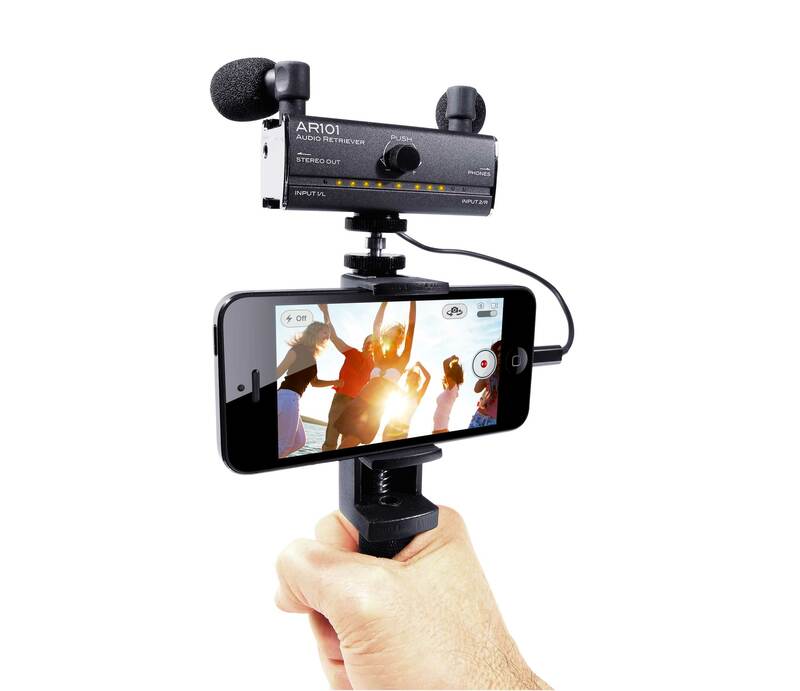 Rode makes the Smartlav clip mic, and a clip mic is the best way to record quality sound for interviews. It is designed for Apple phones but should work with other smartphones too, via the headset jack. It is only £39 so it is worth a try. There’s a wide range of other iPhone adapters on the market too, such as the Fostex AR101, shown. Or, if you think you might need more flexibility, and want to invest in professional mics, look at the iRig Pre. This is an iPhone (or Android phone) to mic adapter, and it includes a battery to power mics that need it. This means it works with pretty much any mic out there: pro lavalier mics, interview mics, “shotgun” mics or radio mic kits. It is about £25, so again, it’s only a small investment, but for a big improvement in sound quality. If you want Audio Video Pro to look at your kit question, please email the editor saying a little about how you plan to use the equipment, and your budget.